Congress leader Rajiv Shukla: Lawmakers meet Tuesday to talk on formation of govt. NEW DELHI, India (CNN) -- Indian Prime Minister Manmohan Singh resigned Monday to make a fresh claim to power, after his Congress party won an election mandate over the weekend. President Pratibha Devisingh Patil accepted the resignation of Singh and that of his council of ministers, and told him to continue in office till an "alternative arrangement" is made, presidential spokeswoman Archana Datta told CNN. She was referring to the swearing-in of a new government. Congress lawmakers will meet Tuesday to discuss plans for government formation, party leader Rajiv Shukla said. The party, headed by Italian-born Sonia Gandhi, won 206 of 543 boroughs of the federal parliament -- its best performance since 1991, in a country that has been governed by coalition governments for most of the past two decades. Congress and its allies together led in 262 boroughs, outpacing their Hindu nationalist and communist rivals in the monthlong general elections. The votes were counted on May 16. Last year, the ruling Congress-led alliance lost the support of communists after signing a civilian nuclear cooperation agreement with the United States. Nonetheless, it survived the test of its power with the backing of a regional party. 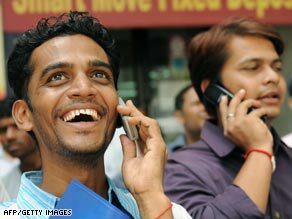 Markets in India reacted well to the election results Monday. Stocks overshot their upper limit after the resounding victory of the pro-reform Congress party, forcing trading to close for the day. The benchmark Sensex at the Bombay Stock Exchange (BSE) surged 17.2 percent, or 2,099.21 points, after a two-hour halt. The gains forced markets to shut for the day.